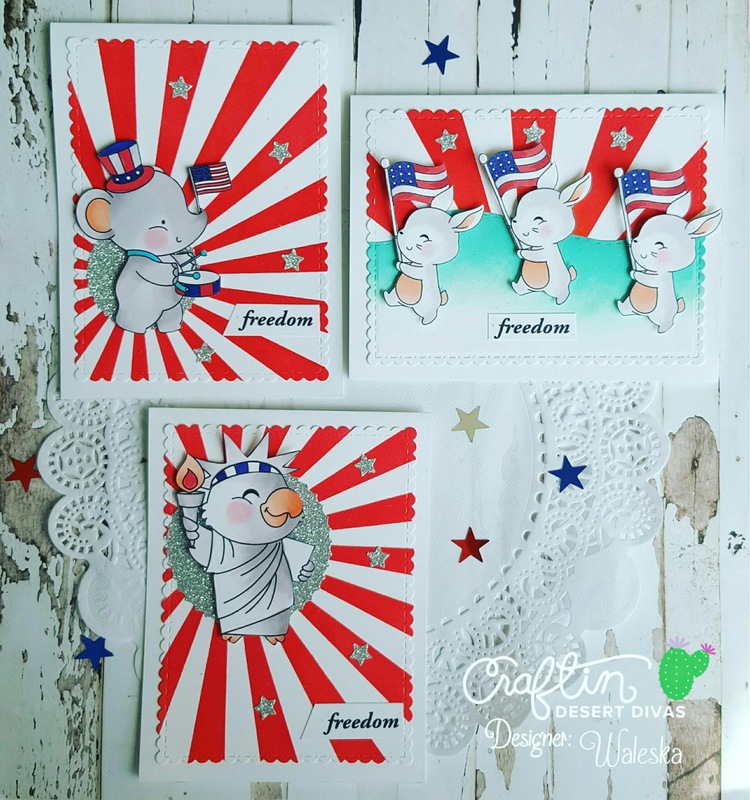 Hello Divas Waleska here to share with you a very Festive set of cards I created with the newest digis Celebrating 4th of July...Have you seen them? 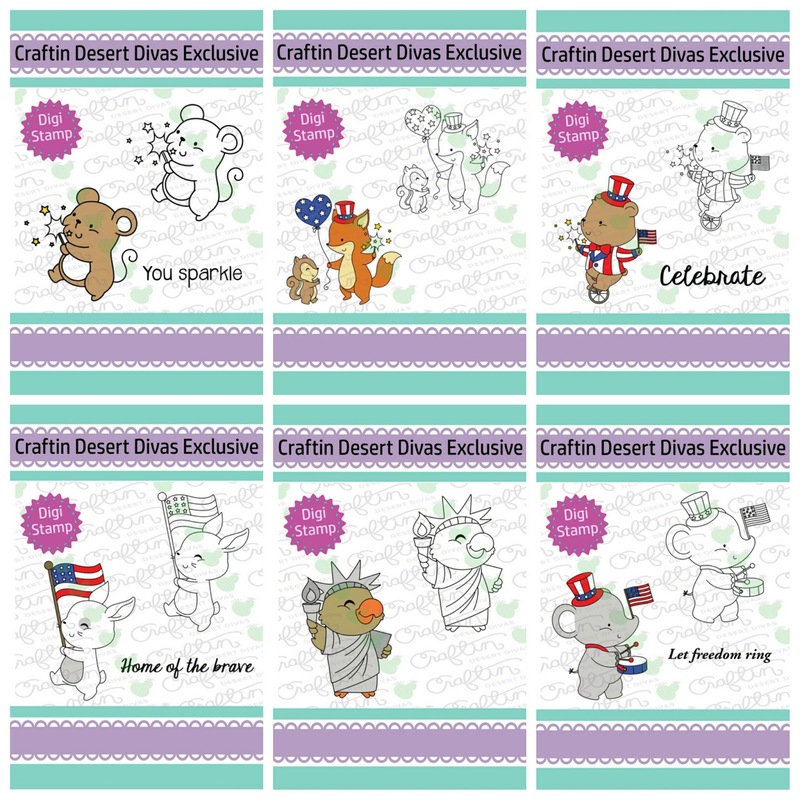 they are the cutest digis and they are $0.99 each, you can use them for many things cards, decorations, banners and much more go check them out at the Shop. For my cards today I used three of the new digis: Patriotic Elephant, Liberty Bird and Freedom March with the same kind of stencils and color combinations. 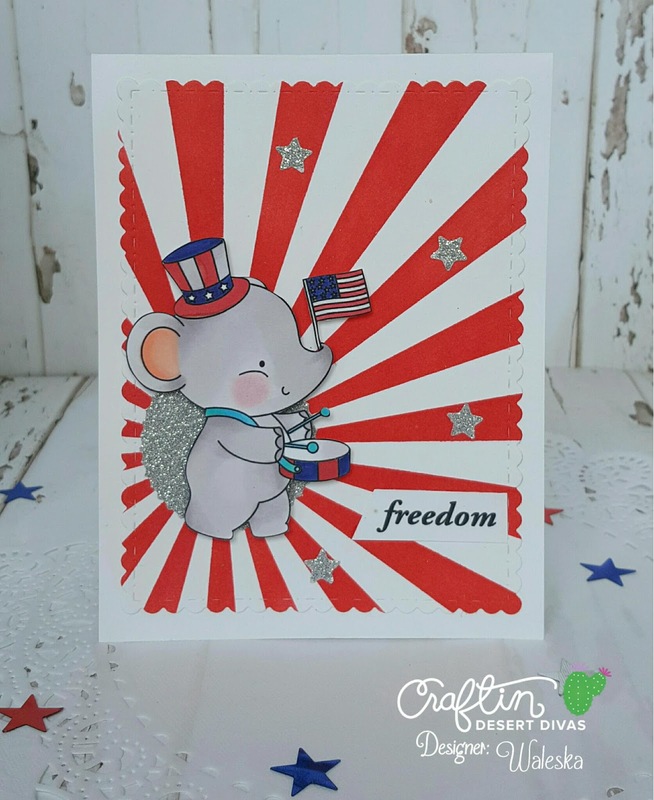 For my first card I used the Outdoor Landscape die to create the ground, with a stencil I made with the Silhouette Cameo, I color the Sunburst with Festive Berries Distress Ink and added the little stars from the Ferris Wheel die. I color the rabbits with markers and added the sentiment, finally I cut the scene with the Fancy Frame die. 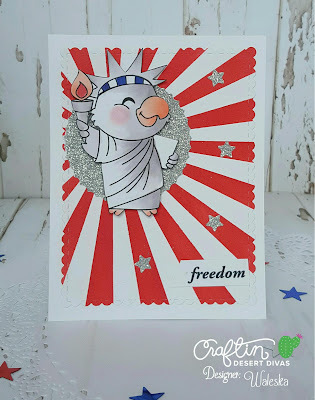 For the rest of my cards I did another Sunburst Stencil and color them with Festive Berries Distress Ink, I added the smallest inside circle die from glitter paper and glue the Festive images. For more sparkle I added little stars. 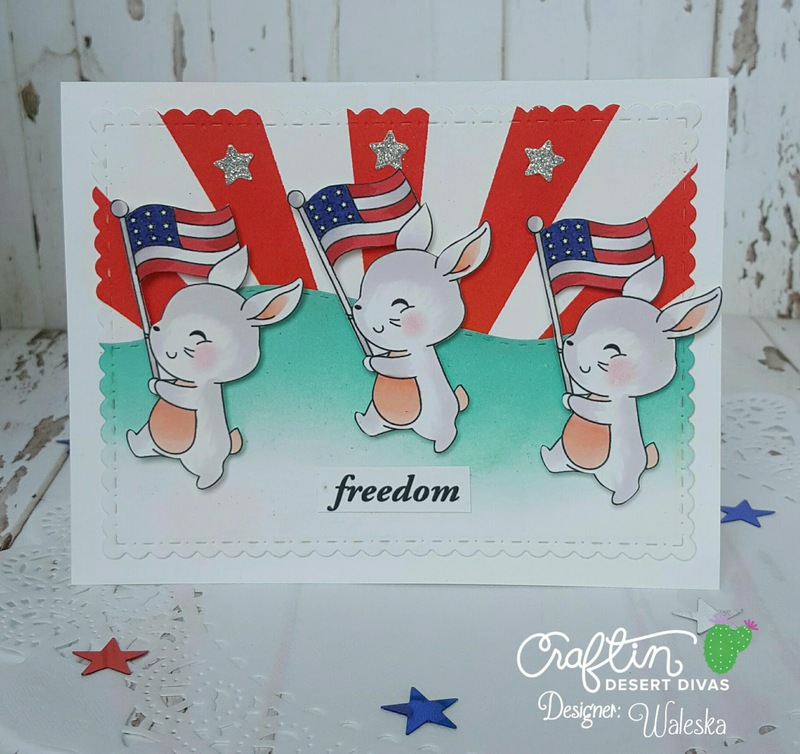 The Freedom sentiment goes perfect for the occasion and I use the Fancy Frame die to finish my cards. 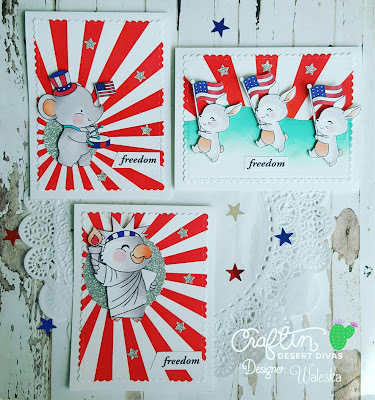 I hope you can be inspired to create some 4th of July projects with this Amazing Digital Stamps! The blue, red and white colors look so vibrant I just love the color combination! I hope you have a wonderful celebration of this Amazing Nation! 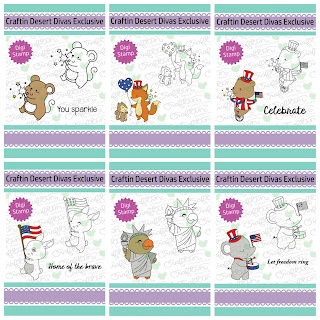 These cards are fabulous!!! 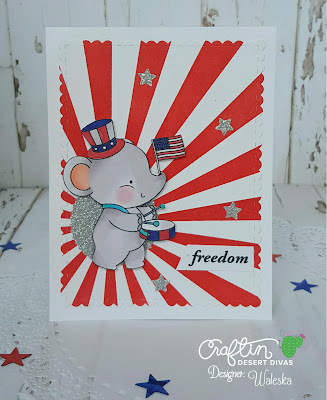 Love the red pattern paper and the touched of silver!! those cards are so sweet! Very cute! Price is awesome!